Feminist and philanthropist? We're in. At 30, Team USA's Kelly Clark is a snowboarding veteran. A love affair with a Kmart snowboard left her smitten with the sport, and she promptly signed up for the Mount Snow Academy. In 2001, a year after graduating, she won her first gold medal for the women's half-pipe in the 2002 Winter Olympics. From 2005 onwards, she placed first or second in at least one major competition each year, including the US Grand Prix, the New Zealand Games, and the Winter X Games. She won her second Olympic medal, a bronze, at Vancouver in 2012. Clark is one of the most successful Olympic snowboarders, male of female, of all time. 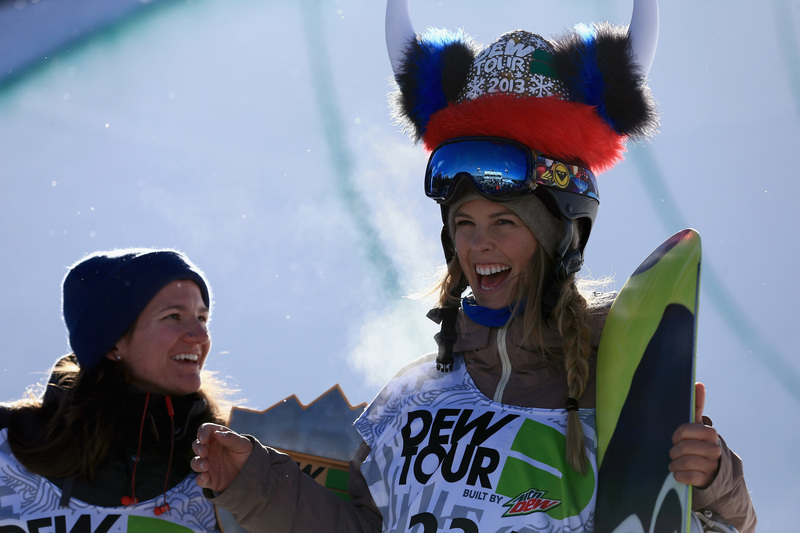 In 2011, Clark made serious progress in bridging the gap between men's and women's half-pipe, performing the first 1080 in women's competition history. She attributes her success to her faith in God, and her snowboard bears a sticker that reads: "Jesus, I cannot hide my love." When she's not on the slopes, Clark is raising funds for her philanthropic organization, the Kelly Clark Foundation, which provides opportunities like scholarships to young snowboarders.